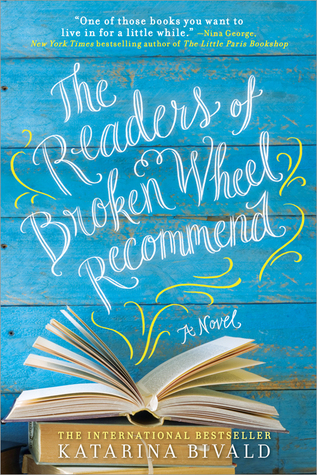 Today I'm featuring an upcoming read, The Readers of Broken Wheel Recommend by Katarina Bivald, which I got at Library Journal's Day of Dialog 2016, an all-day event that took place on the first day of BEA. The strange woman standing on Hope's main street was so ordinary it was almost scandalous. 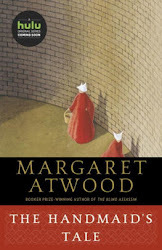 A thin, plain figure dressed in an autumn coat much too gray and warm for the time of year, a backpack lying on the ground by her feet, an enormous suitcase resting against one of her legs. Those who happened to witness her arrival couldn't help feeling it was inconsiderate for someone to care so little about their appearance. As though this woman was not the slightest bit interested in making a good impression on them. The author appeared on a Day of Dialog panel along with the book's editorial director, senior publicity manager, and marketing manager. Katarina was absolutely delightful as she shared her experience of writing the book, which was initially published overseas. Her warmth, humor, and humility engaged the audience, as she explained the intricacies of how a Swedish woman came to write a book set in Iowa, a place she hadn't visited before the book was published. Shana Drehs, the editorial director for Sourcebooks Landmark, who actually is from Iowa, added insight into the subtle changes that were made to editions published in different countries, including why cowboy hats were omitted from a scene in the U.S. edition to render it more authentic for American readers. This novel has been charming U.S. readers with its small-town setting since its publication in January, and I am eager to dive into it.